Perfect for summer festivals or back to school, this adorable bag brings the fun. 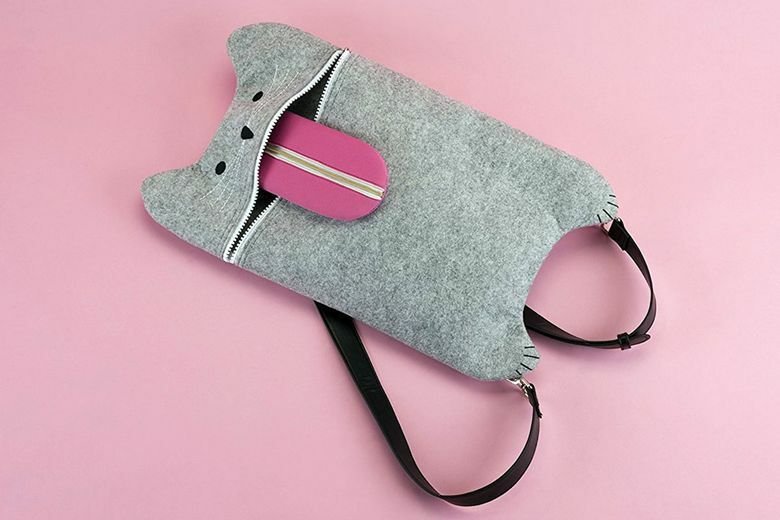 Tween style is in the bag with True Zoo’s Smokey the Grey Felt Cat Bag, an adorable convertible backpack/crossbody bag shaped like — you guessed it — a cat. Made of neoprene with faux-leather straps, Smokey’s mouth unzips to hold schoolbooks, sketchbooks and a tablet or small laptop. His pink tongue doubles as a zippered internal phone pocket. The clever design from a Seattle-based company makes a great end-of-school-year gift.